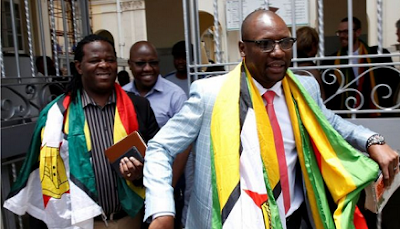 Leading Zimbabwean opposition activist Pastor Evan Mawarire has been acquitted on charges of trying to overthrow Robert Mugabe's former government. The organiser of last year's #ThisFlag protests faced 20 years in prison had he been convicted. A Harare high court judge ruled there was no evidence that he had "urged a violent removal of government". The case was seen as a test of judicial independence after the forced resignation of Mr Mugabe last week. The former president, who stepped down after soldiers placed him under house arrest, was long accused of using the courts to hound his political opponents. Tweeting a selfie taken in the courtroom, the smiling pastor called on his fellow citizens to join in "building a better Zimbabwe".